The role of think tanks, business sectors, and partisan political organizations in casting doubt on scientific facts, challenging the integrity of mainstream news organizations, and attacking the competency and legitimacy of government. How innovations in media technology have disrupted the delicate balance between markets, regulation, and the provision of public goods such as news. How networked communication technologies are reshaping public discourse, political engagement, the news media, and democratic institutions more broadly. 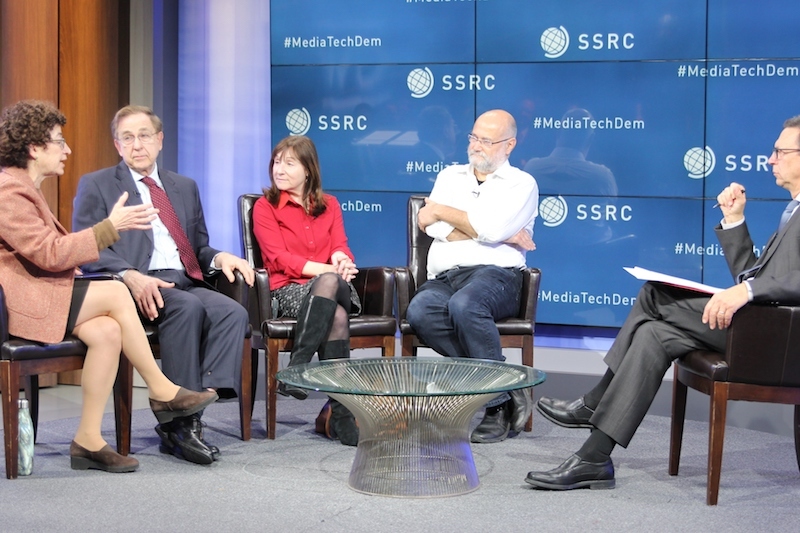 In conjunction with the workshop, a roundtable interview of Yochai Benkler (Harvard), Paul Starr (Princeton), Naomi Oreskes (Harvard), and Jane Mayer (The New Yorker) about the apparent effectiveness of disinformation campaigns was filmed in a recording studio at the George Washington University School of Media & Public Affairs.